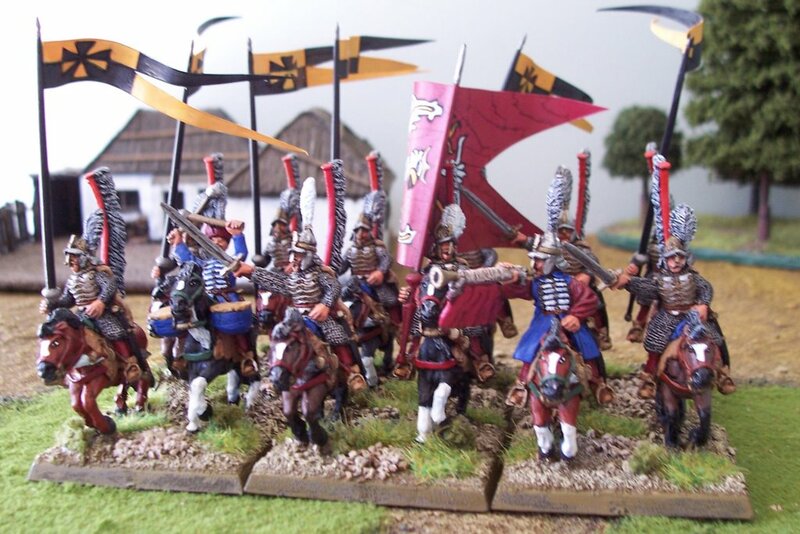 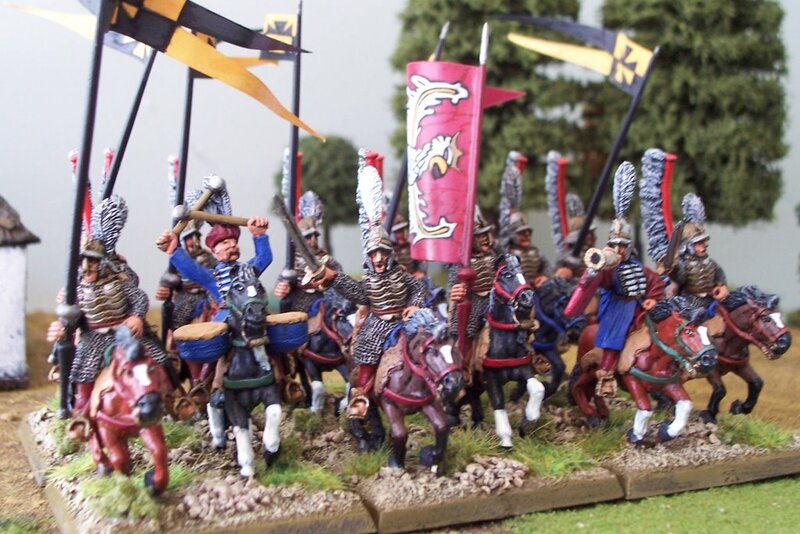 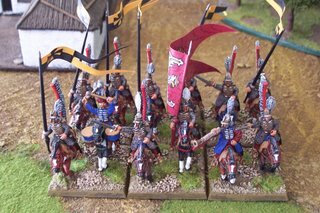 A unit of Redoubt Miniatures Polish Hussars and horses. I painted these for my friend Robert Fletcher along with 2x12 man Pancerni units, 30 dismounted Dragoons and a command base. 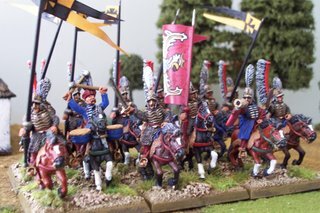 I hope to one day persuade him that his main interest lays with the Ottomans and the Poles would find a fine home with me. 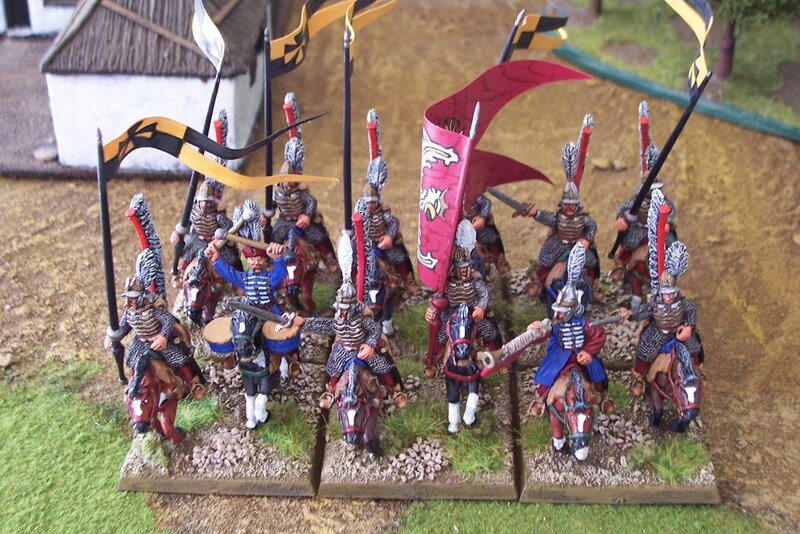 I love painting these figures but hope to try a unit of TAG hussars next.